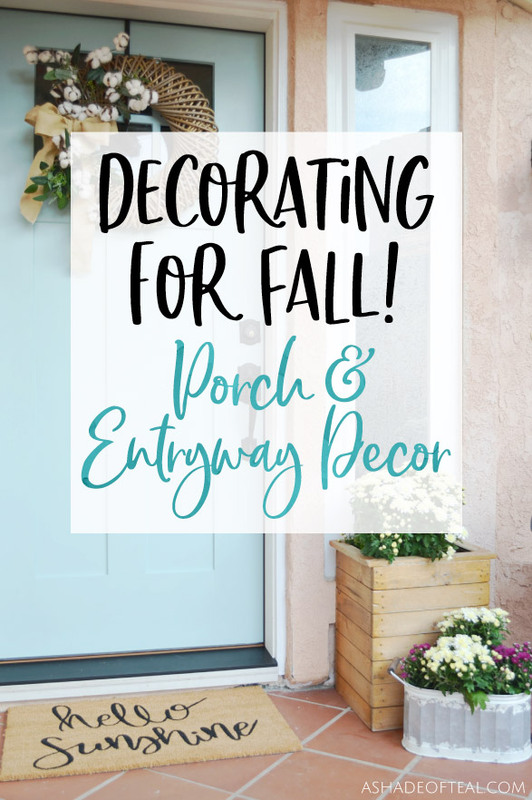 Since recently updating my entryway, I’ve been more excited than ever to decorate for Fall. 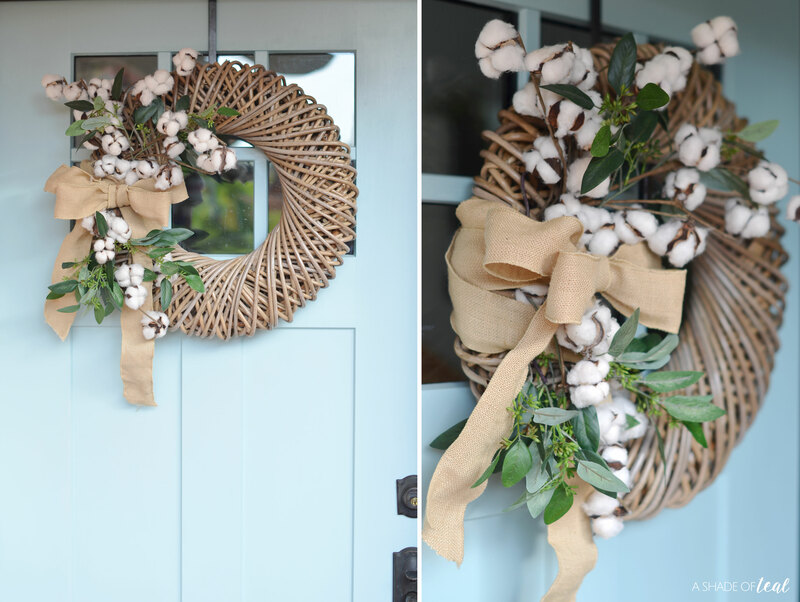 Both the interior and exterior of my door have been transformed to suit my style, and just walking up to my door brings me so much joy. 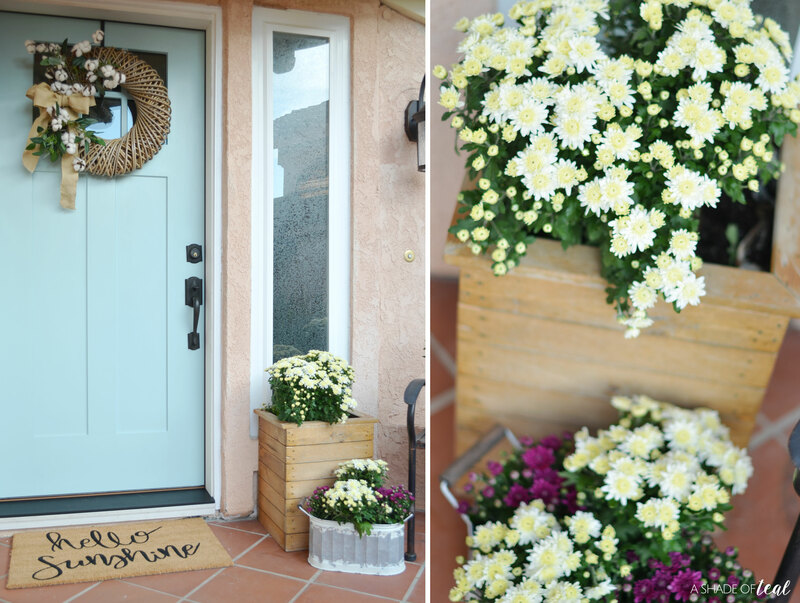 I have always loved to decorate my porch, but now that I have a finished entry I can finally decorate the inside as well. 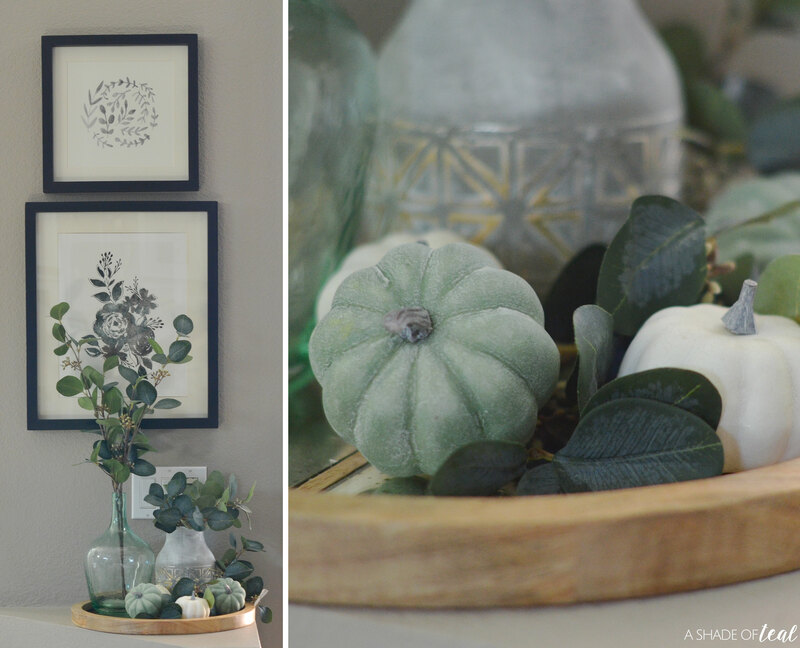 I think I enjoy decorating for Fall the most! 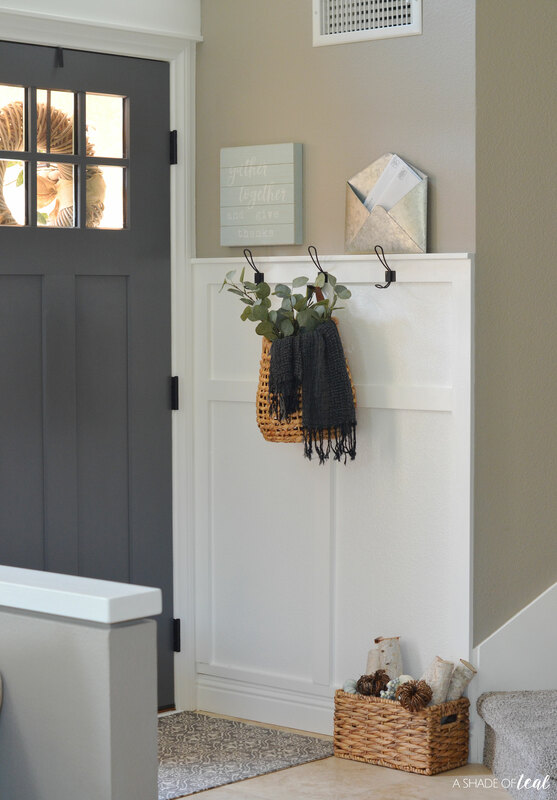 I love simple neutral elements, with an occasional muted pop of color. 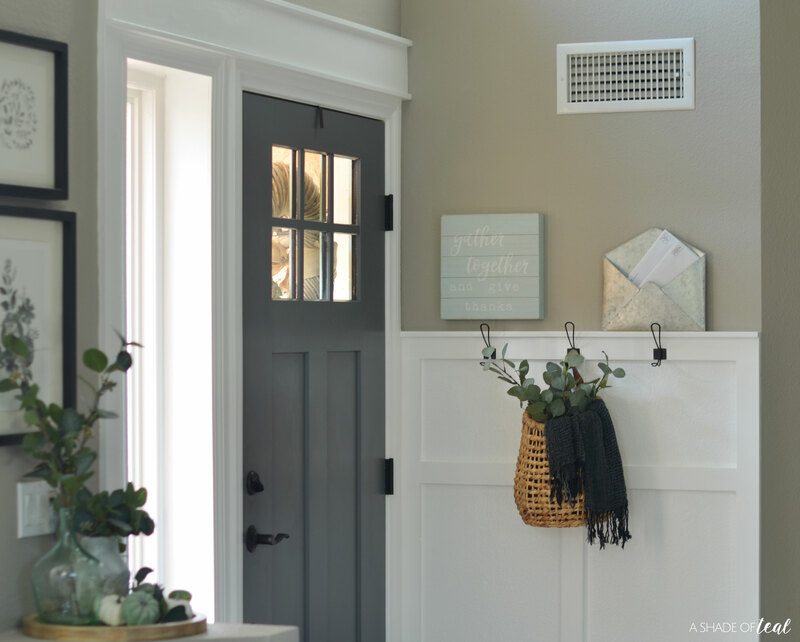 I prefer to have my seasonal decor match the rest of my home throughout the year, so when it came time to decorate around my Therma-Tru Benchmark door, available exclusively at Lowe’s, I kept it simple. 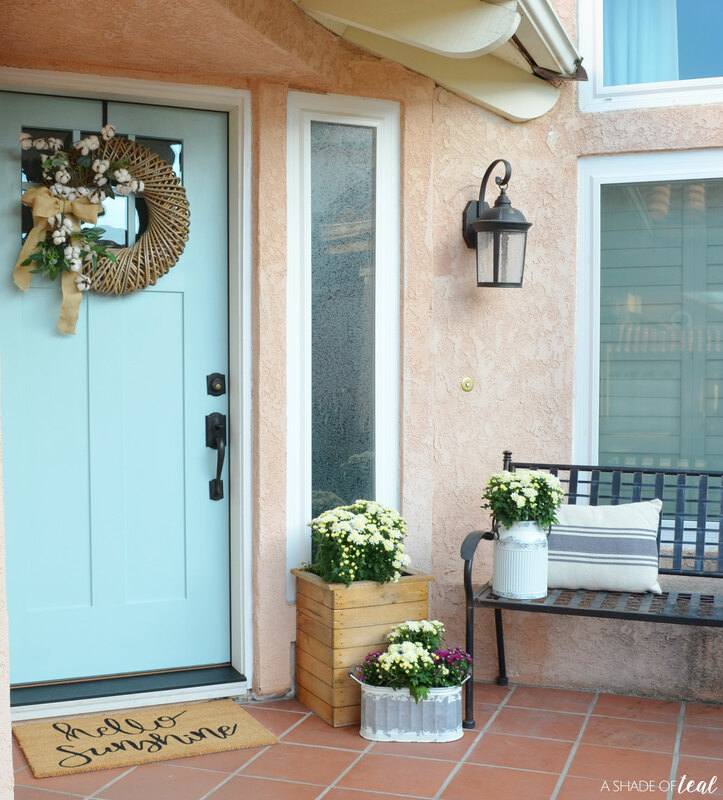 Front porches and first impressions go hand in hand, so making sure it always looks beautiful has been something I take joy in, and I love decorating my porch for the different seasons, especially to show off my beautiful door! 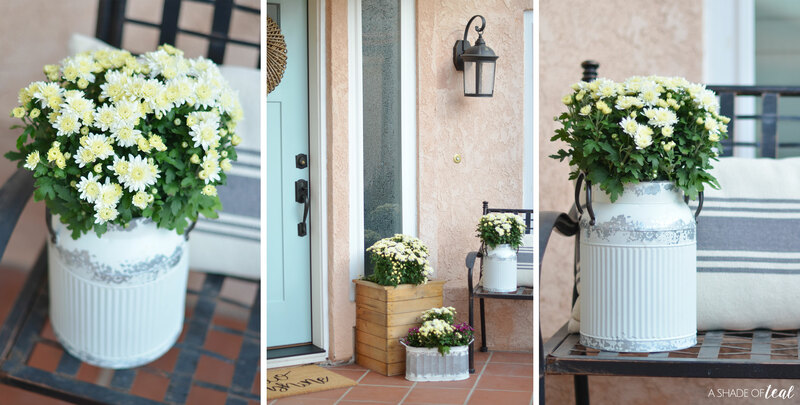 My front porch is also the only place I consistently change out the flowers with every season. My Therma-Tru Benchmark door has been amazing to decorate around since it’s a low maintenance and high performance door. 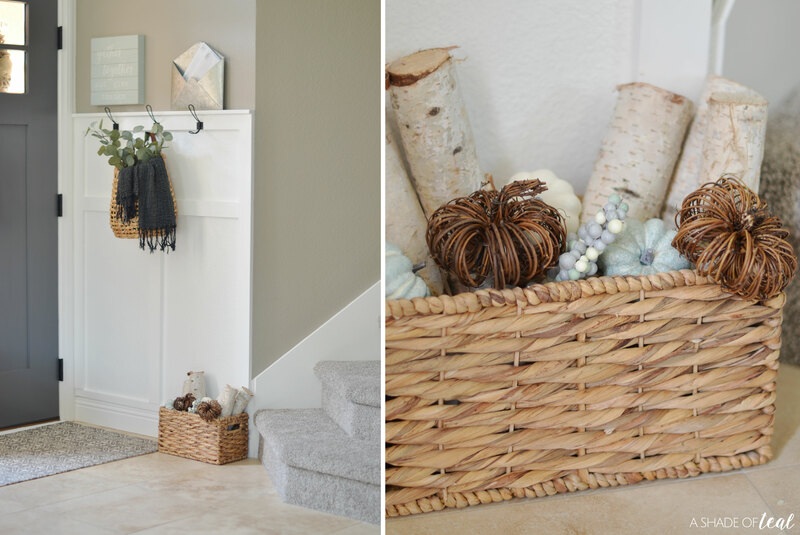 When it came to decorating the interior entryway, I wanted to keep it simple and with minimal clutter. Our Therma-Tru Benchmark door is a fiberglass Shaker 6-Lite Craftsman with Clear Low-E Flush-Glazed Glass. It’s energy efficient, I never have to worry about warping or splitting, and it will resist shrinking and swelling with temperature changes. 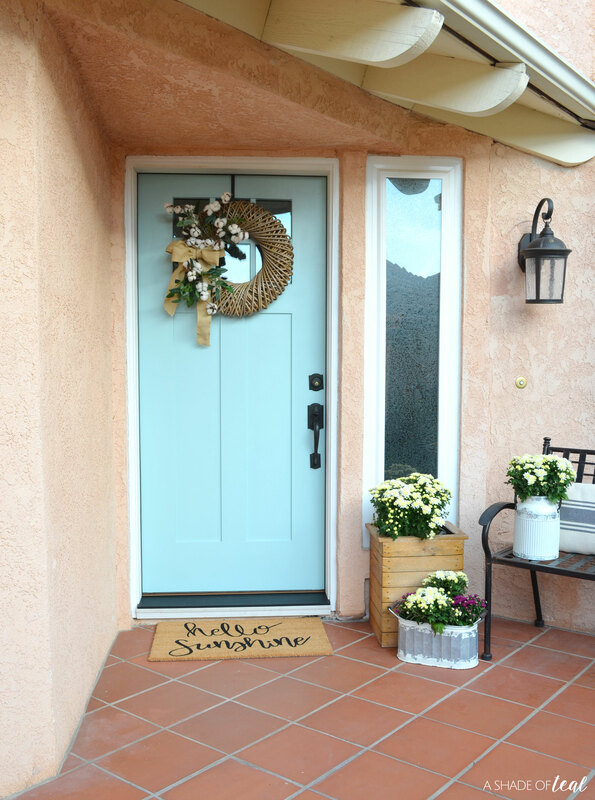 Our previous builder grade door had major shrinkage issues when summer and winter came around. Having a door that doesn’t stick has been amazing! 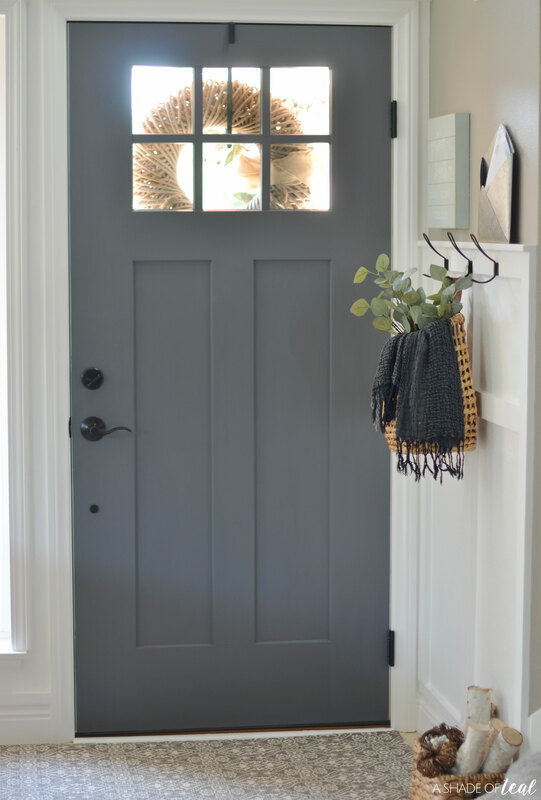 Decorating for Fall has never been more fun since having an updated Therma-Tru Benchmark door and entryway. 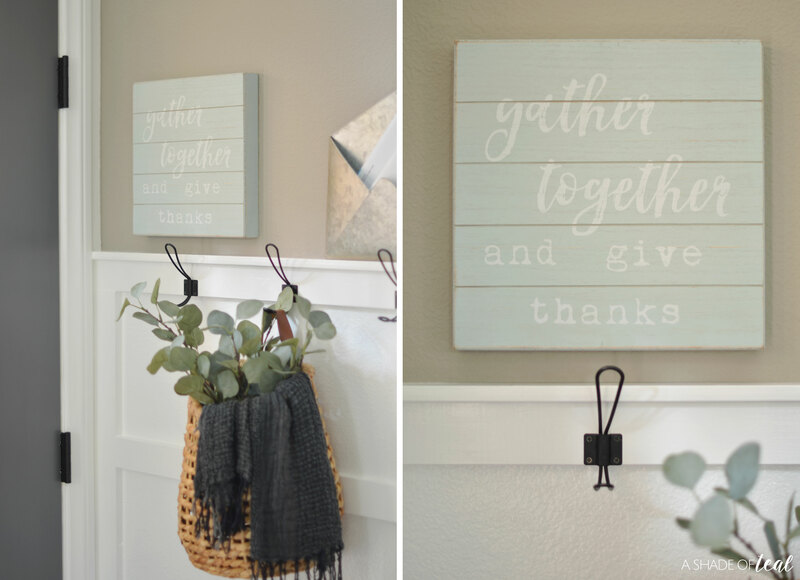 What’s your favorite place to decorate for fall? « Make Feeding Time Bonding Time!